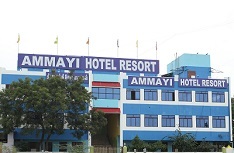 Accept a warm welcome from AMMAYII HOTEL RESORTS, a renowned guest house located in the city of Tiruvannamalai. You can have access to various hotels and resorts here, but the ambiance and facilities that you get at Ammayii Hotel Resorts are way beyond your expectations. World Class Hospitality, Princely Treatment, Multi-Cuisine Food Court, Sprawling Lawn, Exciting Playing Area, Highly Specious Car Parking, etc. are some of the facilities that have attracted hundreds of visitors at our resort. The tourists of Tiruvannamalai are offered with comfortable accommodation with fully air conditioned rooms. We are committed to provide home like amenities and cozy Accommodation in Tiruvannamalai for the guests at the highly affordable rates. 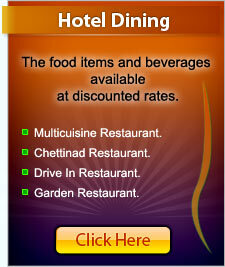 Counted among the best Hotel Resorts in Tiruvannamalai. Over the years, we have accumulated rich experience and expertise in rendering world class hospitality services. Our services are well equipped with conference halls, marriage hall, bar, permit room, catering college, etc. leaving no stone unturned for the complete satisfaction of our end users. Situated at the strategic location of the town, our resort is easily accessible from all the important destinations of the region. Thus, when it comes to the best hotel and resort services, Ammayii Hotel Resorts in Tamil Nadu is considered on the top of the list.